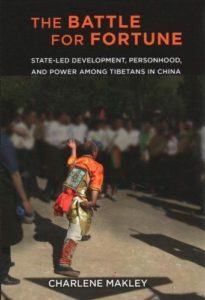 Published in May 2018 by Cornell University Press, “The Battle for Fortune: State-Led Development, Personhood, and Power among Tibetans in China” by Charlene Makley looks at the rising stakes of Tibetans’ encounters with Chinese state-led development projects in the early 2000s. The book builds upon anthropology’s qualitative approach to personhood, power and space to rethink the premises and consequences of economic development campaigns in China’s multi-ethnic northwestern province of Qinghai. Charlene Makley considers Tibetans’ encounters with development projects as first and foremost a historically situated interpretive politics, in which people negotiate the presence or absence of moral and authoritative persons and their associated jurisdictions and powers. Because most Tibetans believe the active presence of deities and other invisible beings has been the ground of power, causation, and fertile or fortunate landscapes, Makley also takes divine beings seriously, refusing to relegate them to a separate, less consequential, “religious” or “premodern” world. 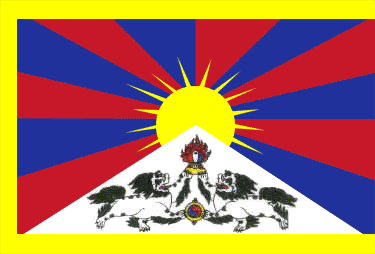 The Battle for Fortune, therefore challenges readers to grasp the unique reality of Tibetans’ values and fears in the face of their marginalization in China. Makley uses this approach to encourage a more multidimensional and dynamic understanding of state-local relations than mainstream accounts of development and unrest that portray Tibet and China as a kind of yin-and-yang pair for models of statehood and development in a new global order.